Are you expecting a child? Discover the latest new collections our five-element modular systems. Taste. Style. Trendiness. The new year is always a time for making resolutions: a time of new prospects and optimism. And if you’re expecting a child in 2018, you’ll also be expecting a lot of excitement… and a lot of important decisions! Babies must be given a warm welcome, cuddled, taken out and about, and allowed to sleep in perfect tranquillity and comfort. What you really need is the right modular system, a set of practical, safe and attractive aids. The perfect answer to the needs of new parents! How can you stay stylish when you’re out and about with baby? Will you be able to keep up your style when you become a mother? Choose something that reflects your tastes, and pay attention to the details: don’t settle for the first stroller you find, but follow the latest fashions in fabrics and colours. We present the new collections of modular systems, the new look of today’s designs, in Peg Perego’s all-Italian style. A Bassinet available in three different styles. A high-performance Chassis available in five different styles. A Seat that lets baby look the world right in the eyes. 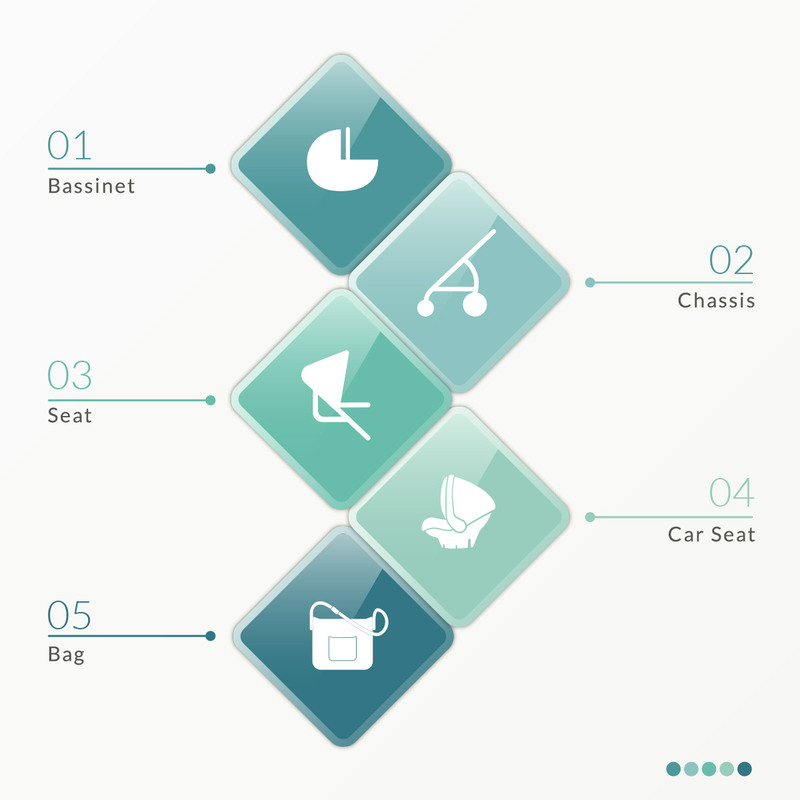 The Car Seat for safe travel. 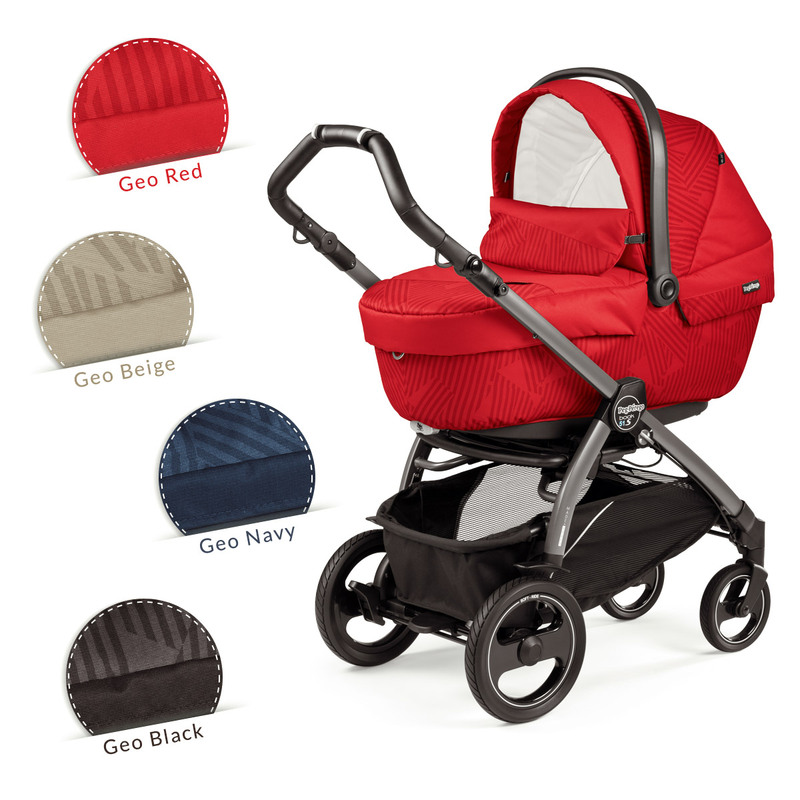 In addition to practicality and safety, we know parents want three more things: taste, style and trendiness. Our in-house style office has chosen the most elegant fabrics, the trendiest colours and the most fashionable finishes for you. 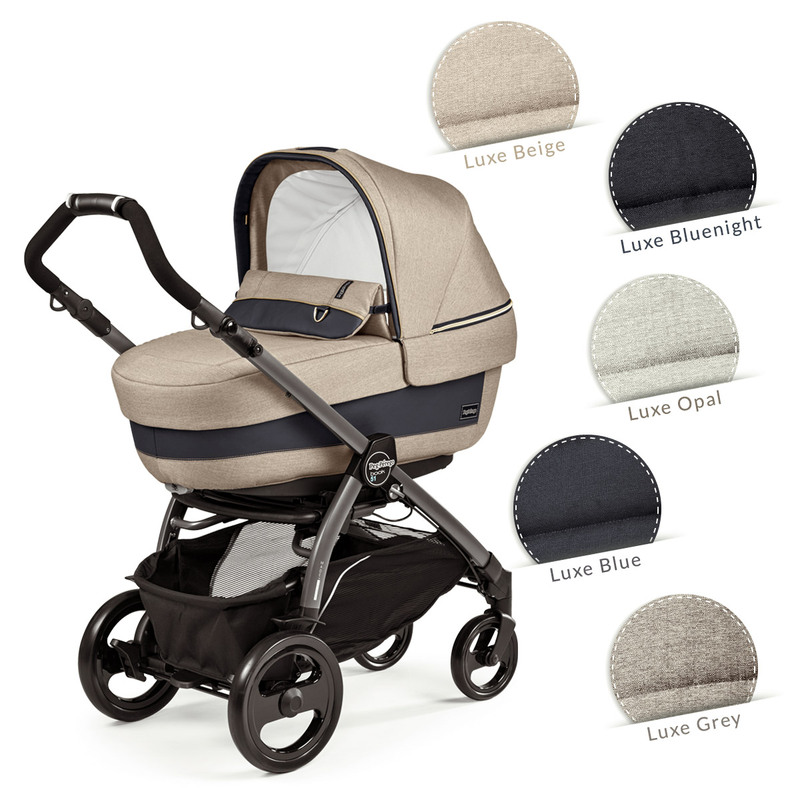 The Luxe collection is for parents who want fashionable elegance. It features professional tailoring, gold and silver trim, melange fabrics and contrasting or tone-on-tone eco leather inserts. Beige: gold coloured details, melange fabric and contrasting eco leather inserts. Bluenight: silver coloured details, melange fabric and tone-on-tone eco leather inserts. Opal: silver coloured details, melange fabric and contrasting eco leather inserts. Blue: silver coloured details, melange fabric and contrasting white eco leather inserts. Grey: ochre details, melange fabric and contrasting eco leather inserts. And then there are the two special covers: one for the bassinet, with a wind break, and one for the stroller. How original is your lifestyle? If you answered ‘very’, then the Breeze collection is the one for you. Its glamorous yet sporty look and trendy details follow the latest fashions. And if you refuse to stay home even in the coldest weather, it has two soft covers with Thermore® insulating lining for the bassinet and stroller. Kaki: in elegant natural hues. With a glamorous, sporty high-tech details. Blue: a classic with a trendy new look. 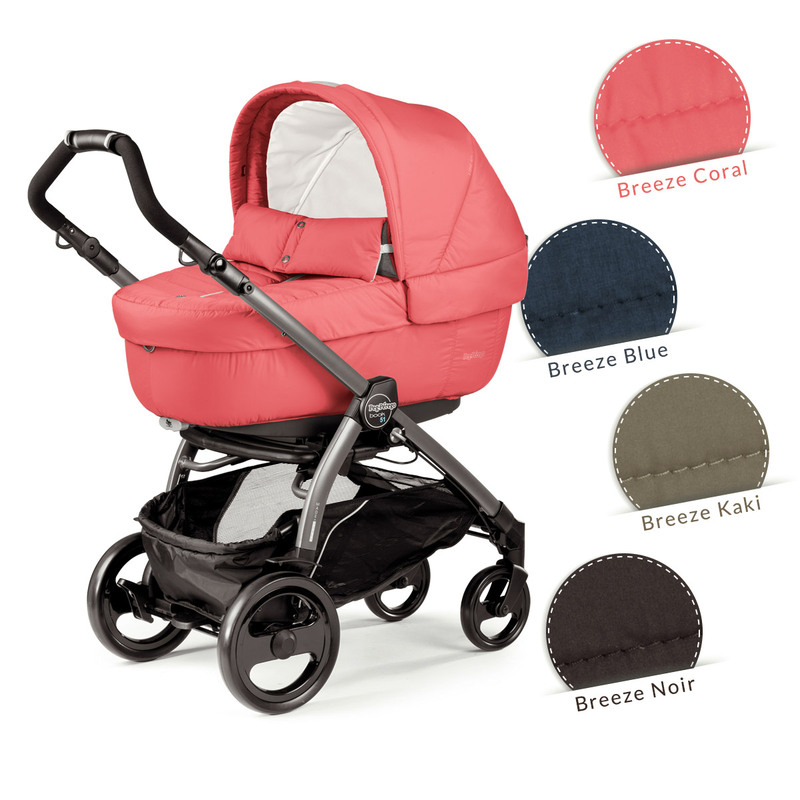 Coral: for bold and trendy parents. Noir: for an all-black look that never goes out of style. And then there are the two special covers: one for the bassinet, with a wind break and a zip-up fastening, and another for the stroller. URBAN DENIM: an all-denim look! Everyone wears jeans. And they appear in all the latest fashion collections by the world’s most prominent designers. If you’re a jeans person, your style will be reflected in the Urban Denim collection. Your modular system, dressed in the multitasking fabric that never goes out of style, for casual and even dressy occasions: denim. Eco leather inserts and unique buttons add a touch of urban style. 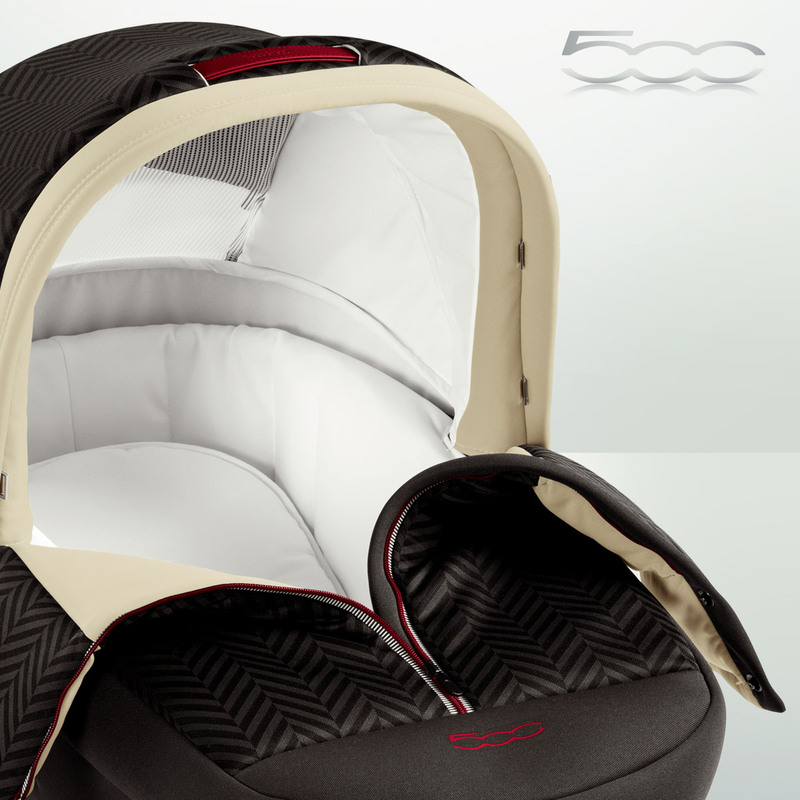 Families who love iconic Italian style prefer Book 500 Elite Modular, with its unique design inspired by the Fiat 500. ‘Chevron’ fabric with its characteristic herringbone weave for a gutsy look. The zipper down the middle of the cover is extra-convenient. On a shopping trip in cold weather, you can unzip your child when you go into the shops and zip them up again when you go back outside. Beige: elegant, above all fashion trends. Red: vibrant hues and a glamorous style for today’s dynamic look. Navy: classic style and elegance. Black: chic, never goes out of style. Versatile cover for use in the pram and stroller. 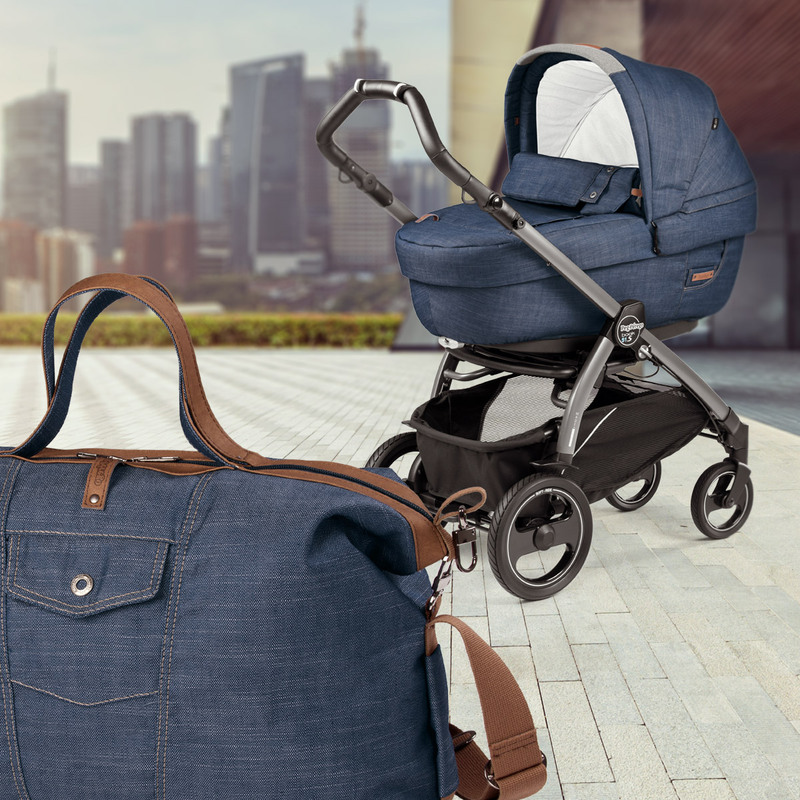 The Luxe, Breeze, Urban Denim and Geo collections are compatible with the following chassis models: Book S, Book Scout, Book 51 S, Book 51 and Team. Our Purchase Guide helps you choose the best modular system for your requirements and customise it in your favourite style. Peg Perego products are all Made in Italy, in the iconic Italian style that is admired all over the world, that no-one has managed to imitate, and that gives rise to things that are simple but unique, beautiful but practical.